This is a wall hugger stumper. One way of solving traditional multicursal mazes is to pick a wall and just follow it to the end. 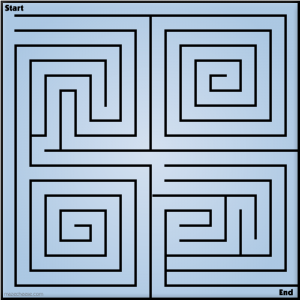 This is just a quick fun maze that acknowledges the logic. Click here to play. Have fun with this corkscrew maze on mazecheese. 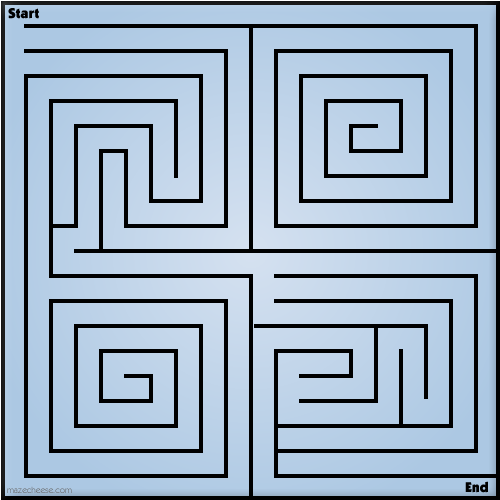 It is a typical finger/mouse/stylus maze where you draw your path right on the screen.